"Based on our review, we have not changed our conclusions that we expressed in July with respect to Secretary Clinton," Comey wrote Sunday. Two sources familiar with the investigation tell NPR's Carrie Johnson the material the FBI recently discovered and reviewed largely contained copies of messages the agents had already seen or personal emails. In response to Comey's letter, Clinton's communications director Jennifer Palmieri said the campaign had been confident that the FBI would reach this conclusion, adding, "we're glad that this matter is resolved." The topic of Clinton's use of a private email server gained new immediacy on Oct. 28, when Comey sent a letter to leading members of several congressional committees, in which he said federal agents had obtained a search warrant, as NPR reported, "to examine the thousands of emails found on a computer belonging to former U.S. Rep. Anthony Weiner that could be pertinent to the investigation" into Clinton. News of a potential new angle in the email investigation opened the way for Clinton's Republican rival Donald Trump to attack her — a crucial development that was seen as helping his candidacy rebound from the devastating release of a 2005 audio recording in which Trump bragged about groping women. In the wake of the FBI director's letter, the race tightened and Clinton was forced to play defense. At a rally Sunday evening in Sterling Heights, Mich., Trump directly responded to Comey's new letter to Congress. "Right now, she's being protected by a rigged system," he told the crowd. "You can't review 650,000 new emails in eight days — you just can't do it, folks. Hillary Clinton is guilty." Earlier in the day, his vice presidential nominee, Mike Pence, touched on the matter at a rally in Hickory, N.C. "Mishandling classified information is a crime," Pence said. "Hillary Clinton said that she never sent or received any classified information, and the director of the FBI told the Congress classified information was sent." House Speaker Paul Ryan, R-Wis., said Sunday afternoon that despite the FBI's findings, the incident shows "a pattern," saying of Clinton, "She simply believes she's above the law and always plays by her own rules." 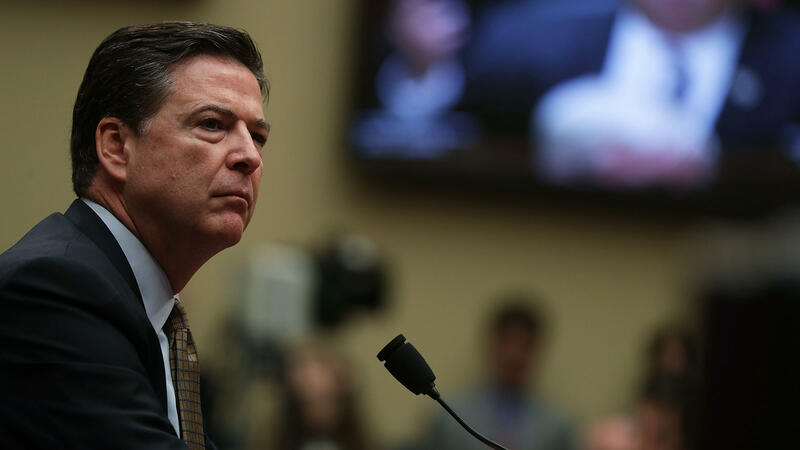 Comey's new letter comes after two weeks in which the FBI has been criticized for inserting the nation's top law enforcement agency into the closing weeks of a tense political season; Senate Democratic Leader Harry Reid even wondered whether Comey had violated the Hatch Act. The new letter also comes four months after the legal issues at stake had seemed to be resolved: It was on July 5 that Comey announced that while Clinton and her staff were "extremely careless" in handling classified data via a private email server that Clinton used while she was secretary of state, the FBI was recommending no charges be brought against her.